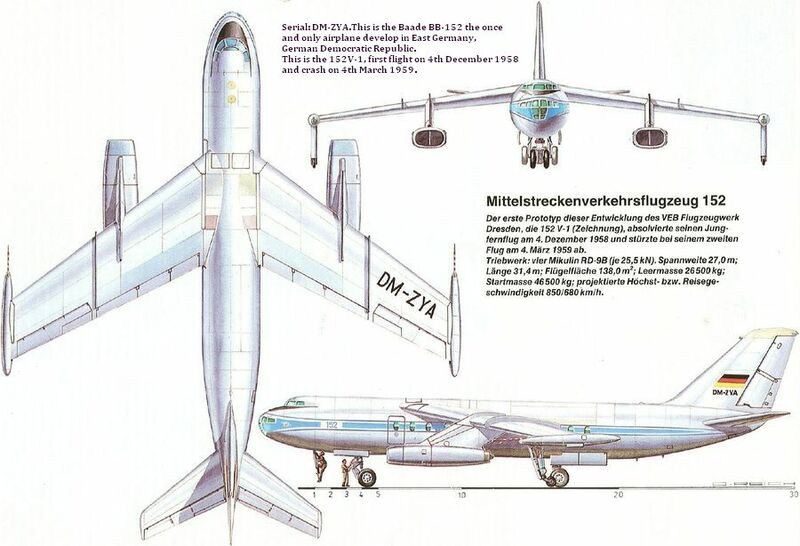 BB-152V-1 Serial: DM-ZYA, the once and only airplane develop in East Germany, German Democratic Republic. 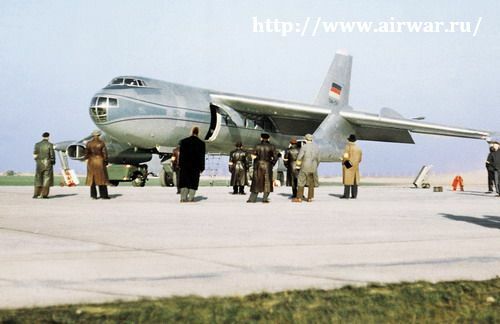 This is the 152V-1, first flight on 4th December 1958 and crash on 4th March 1959. Ilyushin Il-14. 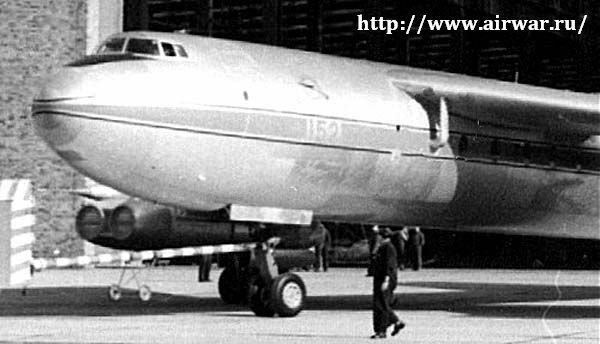 First aircraft came in as Ilyushin aircraft then the next ones were made by VVB Flugzeugbau. Ilyushin Il-28. 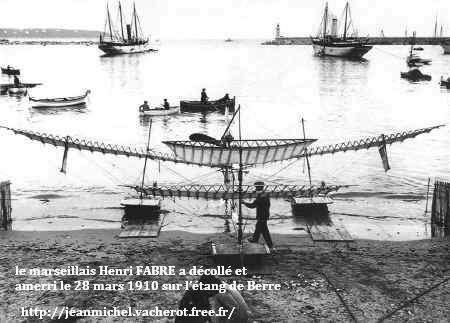 Used as Target Towing Aircraft and Engine Testing. 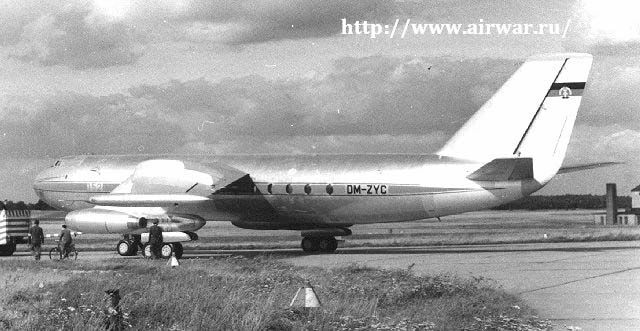 Ilyushin Il-62. It isn't known what military purpose it did in the Luftstreikräfte der NVA. 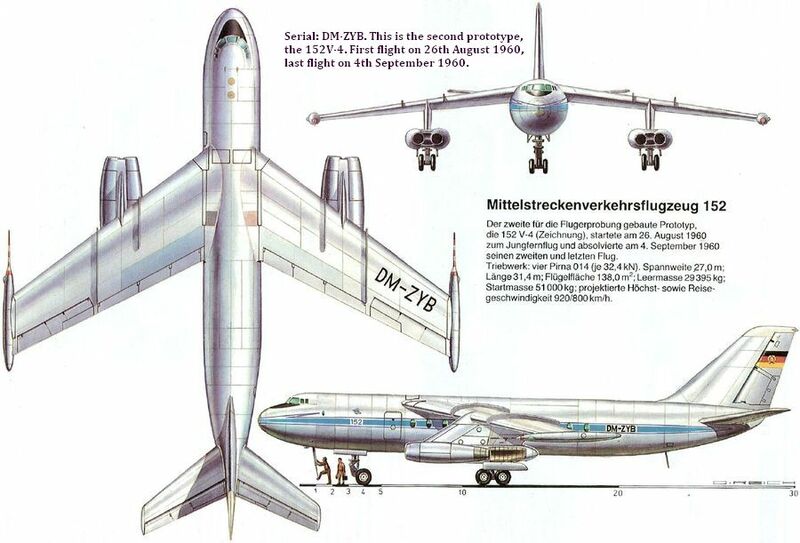 However, it did serve in the East German Airline Interflug.